Coffeepot Rock - 2013-148, originally uploaded by Judi FitzPatrick Studio. One of many named rock formations in Sedona, AZ; will future generations wonder where this name came from due to drip coffee makers and other devices with K-cups? 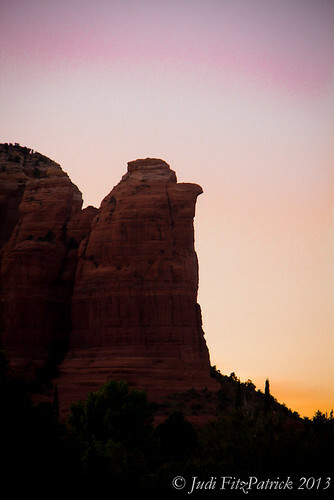 The sky was manipulated to give it a surreal effect - perfect for a Sedona sunset, I hope!